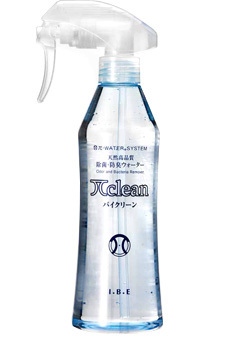 π-clean : Daily necessities | IBE TECHNO CO.,LTD. The components are activated water by π-water system and small amount of natural plants extracts. This is a human- and eco-friendly odor and bacteria removing water. Neither alcohol nor perfume is contained. 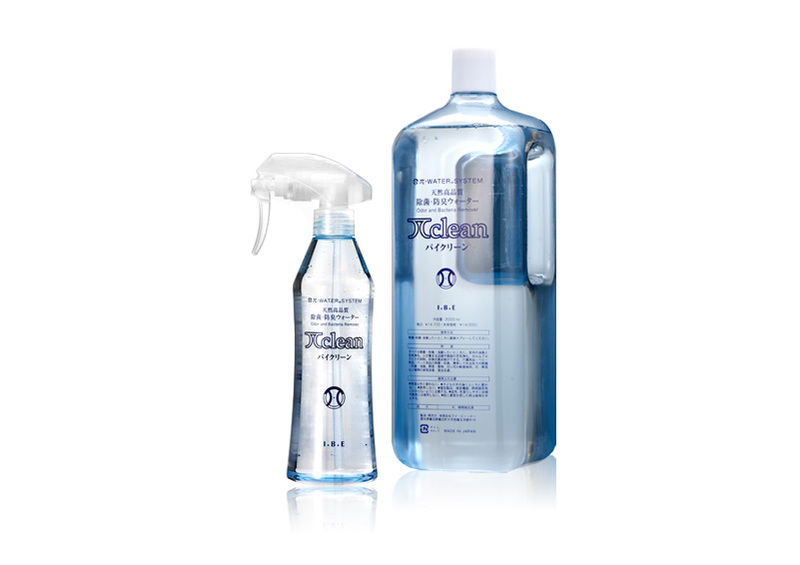 So you can use it for various purposes to spray tableware, cutting boards, refrigerators, clothes, beddings, baby utensils, and so on. You can spray to your pets directly, too. Spraying flowers and plants will avoid harmful insects. · How can I get π-water products? · How to make "π-Wash"
No part of this site may be reproduced in any form without permission. Copyright © 2014 IBE TECHNO CO.,LTD. All rights reserved.